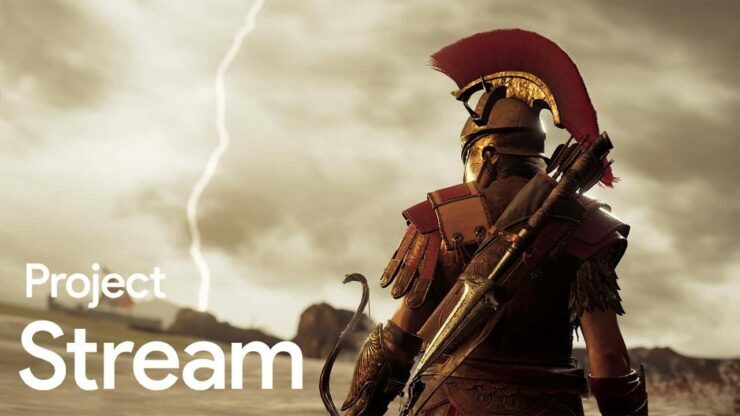 Project Stream, Google’s technical test for their ambitious cloud streaming technology for games, gave testers the opportunity to play Assassin’s Creed Odyssey for free during the course of the test. However, they’d be eventually left without the game itself upon the test’s closure. Today, though, Ubisoft announced that they will be eligible for a free UPlay PC copy of the game where they can continue their adventure in ancient Greece. The Project Stream tech test from Google, featuring a fully playable version of Assassin’s Creed Odyssey, is offering qualifying participants the opportunity to continue their journey on Uplay PC. All players participating in Project Stream receive, for free, 1,000 Helix credits (a $10 value) to spend as they see fit, and any players that spend a minimum of an hour playing Assassin’s Creed Odyssey in Project Stream between now and January 15 will receive a free Uplay PC copy of the game via their linked Uplay account as a special thanks for being a part of the test. Players that already have a copy of Assassin’s Creed Odyssey tied to their Uplay account will not be eligible for a free copy of the game. All game saves and any in-game items earned via gameplay or purchased with the free Helix credits will also transfer over to the free PC copy, but any unspent credits will not transfer. Players that have met the criteria for the free game will receive an email after January 15 with instructions for how to access their free copy in the weeks following the end of the Project Stream test. The Project Stream test will end on January 15th, 2019. If you were able to participate, do let us know your experience in the comments section. In other Assassin’s Creed Odyssey news, the first episode of the ‘Legacy of the First Blade’ expansion came out last week.